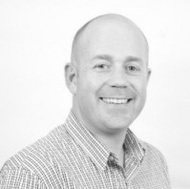 Peter Sanderson is a Clinical Director and Consultant Neurological Physiotherapist. Having graduated from Salford University he has worked with in both the NHS and private sectors and has specialised in the field of neurological rehabilitation for the past 9 years. Peter is a highly passionate and a highly skilled clinician who has a wealth of experience and expertise in assessing and treating children and young adults who present with an acquired brain injury, hypoxic brain injury, high thoracic or cervical spinal cord injury, development delay and premature babies. He has a proven track record of developing and implementing effective approaches in the management of spasticity ensuring the individual’s needs are met. Peter delivers Master Classes in the Anatomy of Ultrasound Guided Intramuscular Injecting; Cadaveric Workshops and regularly invited to lecture on the ‘Management of Spasticity and Best Practice with Botulinum Toxin’ to medics and health care professionals at both national and international conferences. He is currently undertaking a PHD within the subject area of focal spasticity management and treatment outcomes.